Our second day at Baguio started with a scrumptious buffet breakfast offered by the hotel we were staying at. After a heavy meal, we immediately headed to our first destination, the Pasalubong Market. It is always a joy to experience Baguio Market for me. The whole palengke is way cleaner than most of the markets we have in Manila. I personally love the veggie section where they offer the freshest mountain vegetable produce. And, of course, for coffee lovers like me, you must never miss the famous Benguet coffee that you can buy in Kilos at the market. We finished shopping at the Pasalubong Market around noontime before we headed back to our hotel to drop our stuff off. 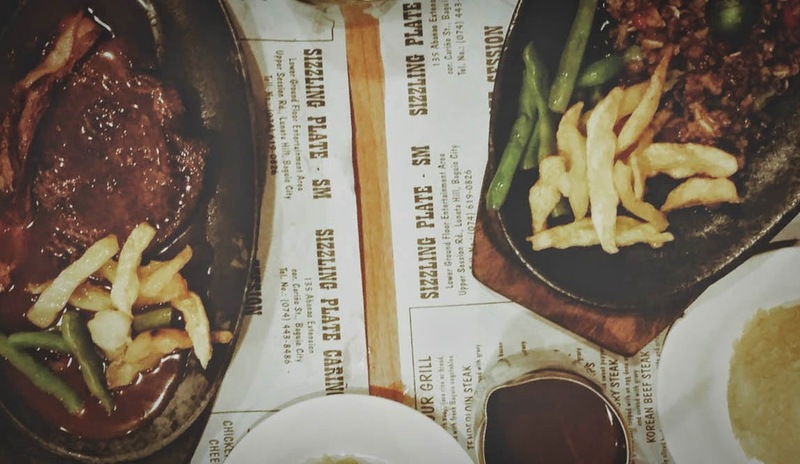 We were hungry and exhausted so what better way to ease it than a good scrumptious lunch at the ever-trusted Sizzling Plate along Session Road. It is a staple restaurant every time we visit the highlands. Of course it was another meat overload.